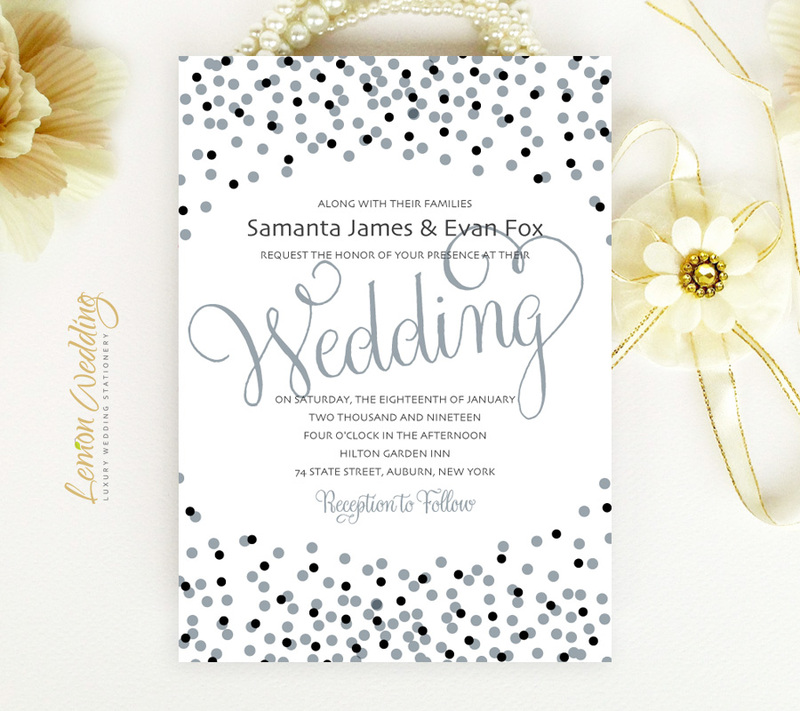 Share the details of your big day with friends and family in style when you send out our Black and Silver Wedding Invitations. 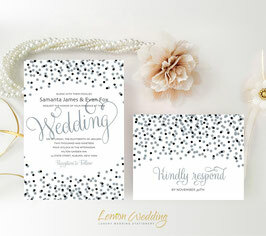 Our upbeat, yet chic invites are the perfect complement to a fun wedding event. 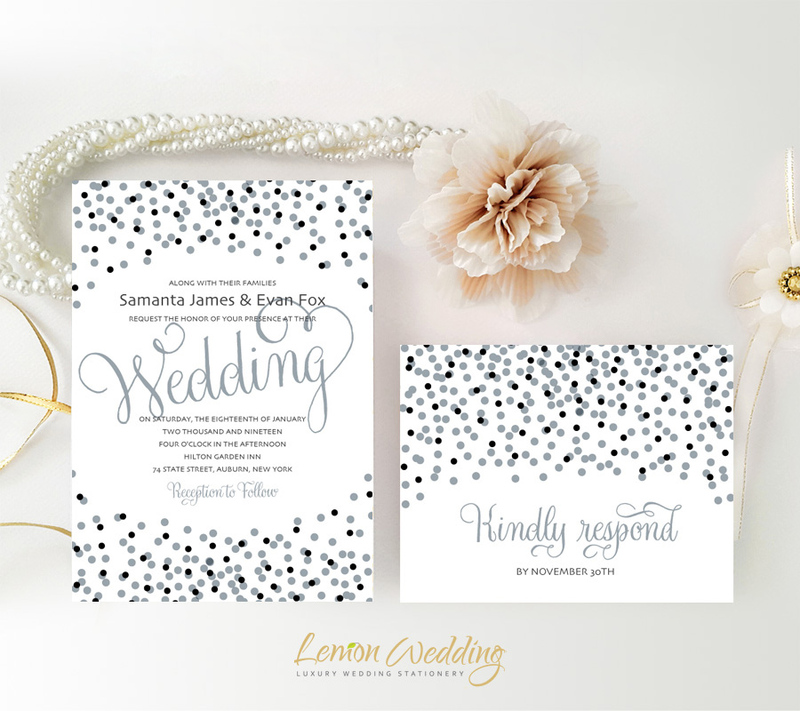 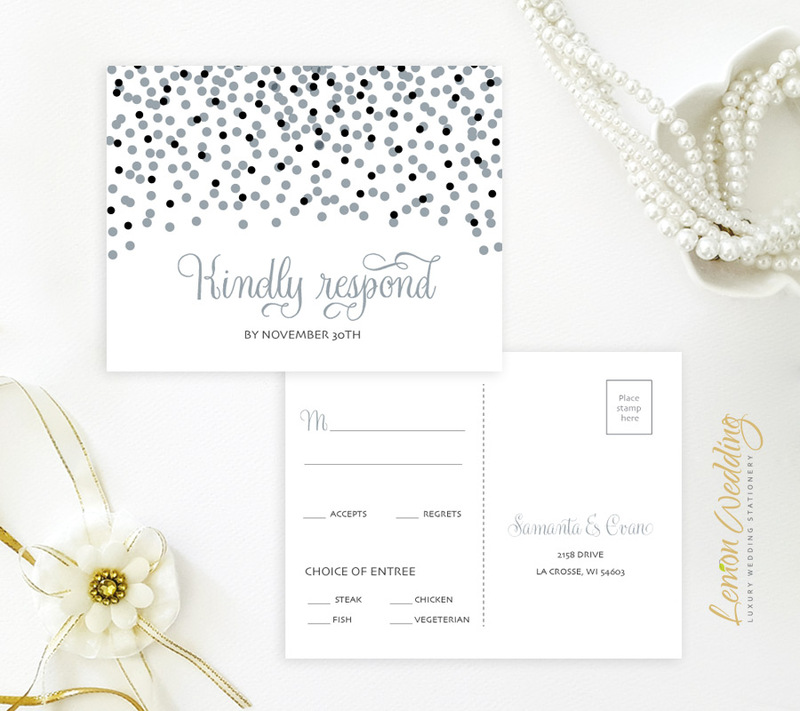 Printed on shimmering pearlescent cardstock, our invite set includes RSVP postcards and wedding invites finished with black and grey polka dots.